First day of talks at WordCamp Europe 2016 in Vienna has just ended and I feel tired but satisfied. It’s 33°C in Vienna today but the conference venue does have working air conditioning and so has our Airbnb. Last year in Seville it was impossible to go outside and not die. At least for a Finn. So this is an improvement. Maybe next year WCEU will be held in some country that is not so hot? The talks were very interesting and well executed in general. The only thing I did not like was the fact that there has not been enough time reserved to switch tracks between sessions. But that is a rather minor issue. Brian Krogsgard interviewed Matt Mullenweg well and challenged him about the practical level leadership of the WordPress project. Earlier, John Blackbourn expressed similar views. I hope this discussion is continued. So far I’ve talked with a lot of nice people. I see a more and more familiar faces at each WordCamp I go to, but here it is just unbelievable amount of people I’ve never seen. Biggest WordCamp ever. We’ll have a dinner among Finns (and people who live in Finland) next. I’m looking forward to day 2 tomorrow and especially the contributor day in Sunday. When you start to use WordPress as an application platform, one thing is very soon clear: WordPress defines very little base structure for your application code, where to put and how to write tests, how application is loaded, or for example how dependencies should be managed. Because of this, applications or just complex sites built on top of WordPress tend to get really messy. There are application frameworks built on top of WordPress, but none of them seem to have wide enough use for to build any serious applications on top of. Until any of those gets wide-spread adoption, combining existing, non-WordPress specific PHP technologies as a custom solution probably is a more future-proof solution. We will be looking into one possible stack of technologies. On May 8th, 2015 I did a talk at WordCamp Finland about WordPress page performance optimization. Here are the links for things that I mentioned on the talk. Update: the slides of the presentation. Update 2: the video of the presentation. WordPress.org profiles have this one question about your WordPress origin story. That question inspired me to write my WordPress story here. My initial contact with WordPress was on the summer of 2005, close to 10 years ago. Before that, my personal site and blog was running on a custom built blogging engine I had created for myself. Back then, WordPress was at version 1.5. Later that year 2.0 was released with a redesigned admin UI. That is when I actually started using WordPress. From the beginning I created my own theme. I wanted to tinker with everything and was happy to find out WordPress did not prevent that. I created a lot of functionality on top of it, mostly for my personal use. Like a database of books I had read and was going to read. While working on my day job as a .Net developer, I did some freelancing on the side to build a couple of small sites on WordPress. That made me learn WordPress even better. WordPress was also used on some trivial projects on my day jobs. Install, customize lightly and forget. Latter one being a bad idea, now that I think of it. .Net web development back then was Web Forms development. Web Forms is this crazy model that totally disregards how the web actually works. I kept creating ways around it. WordPress was totally different. For a web geek, it made sense as is. WordPress gave me ideas. For six years, working with different CMSs and other projects, I took a lot ideas out of WordPress and used them with commercial projects. Until I started H1 in 2010 and was finally able to work with the real thing. Back in 2010, just a couple of months before H1 was founded, WordPress 3.0 was released. 3.0 was actually something that made WordPress a lot more useful in terms of developing interesting websites. Mainly because of the addition of custom post types and taxonomies. It was not my idea back then to create a company that would do WordPress development. I though I was going to do some .Net consulting. Which I did, but not for long. Before long, I was asked to build websites and to my taste, there was no good .Net CMS available. At least not one with a reasonable sticker price. Sticking to what I knew second best, I chose WordPress. Soon, H1 was a three person company and somehow we had managed to hire the number one WordPress name in Finland, Daniel Koskinen. 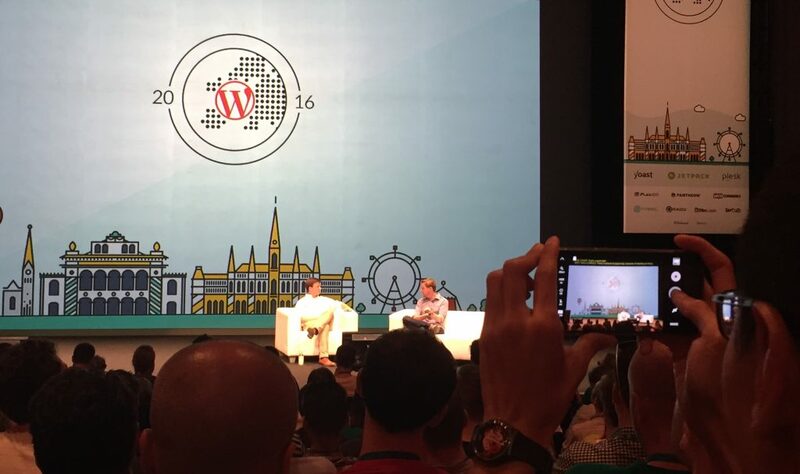 Just his presence made me more interested in WordPress and thus also made the company focus fully on WordPress. Now we have eight people and our commitment to WordPress is like no other company in Finland. During these close to five years at H1 my relationship with WordPress has grown a lot. I’ve created many sites on WordPress I am really proud of. I’ve released my first plugin on the official repository, though most of the coding has been for clients. I have submitted at least one patch to core WordPress. I have enhanced documentation of WordPress. I’ve translated Gravity Forms, one of the most popular plugins out there. I’ve been to three WordCamps, one PressNomics and many local WordPress meetups. I’ve spoken about WordPress. This year I will speak at WordCamp Finland and WordCamp Europe. I have written about WordPress – here and on the company blog. I will keep doing these things. I do this because I believe in WordPress. I’m sure my WordPress story will not end any time soon.